Size : 11.0 x 13.9 inches. / 28.0 x 35.3 cm. 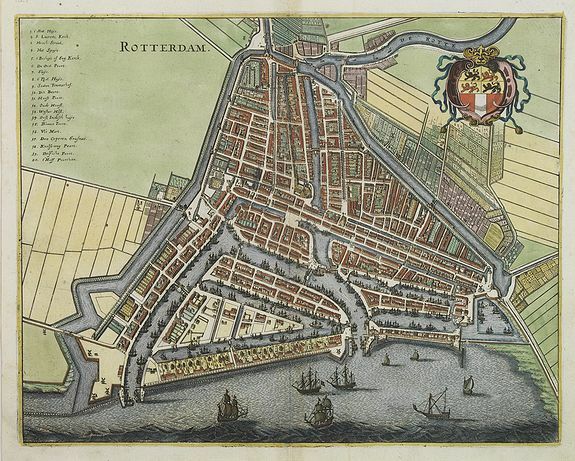 Description :Decorative plan of Rotterdam. With extensive shipping on foreground. Very decorative and of the highest standing of engraving. Condition : Dark impression. In good condition.